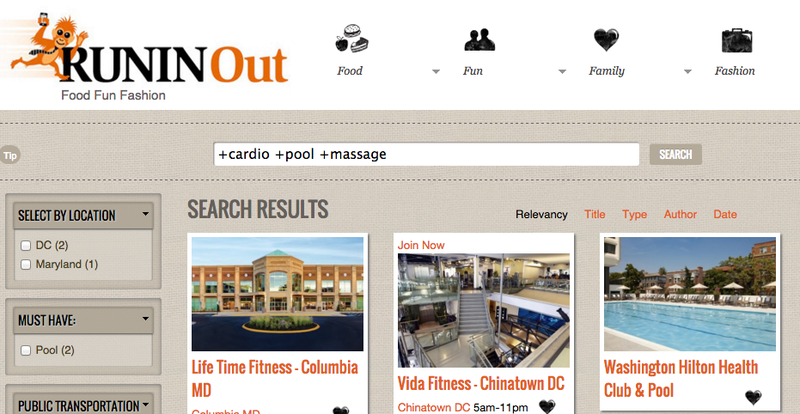 RUNINOut's geographic footprint covers our beloved DMV (DC, MD, and VA). Due to our growing user base, we've started adding venues beyond our homebase, up the Eastern seaboard into Philadelphia, New York City, and Boston. 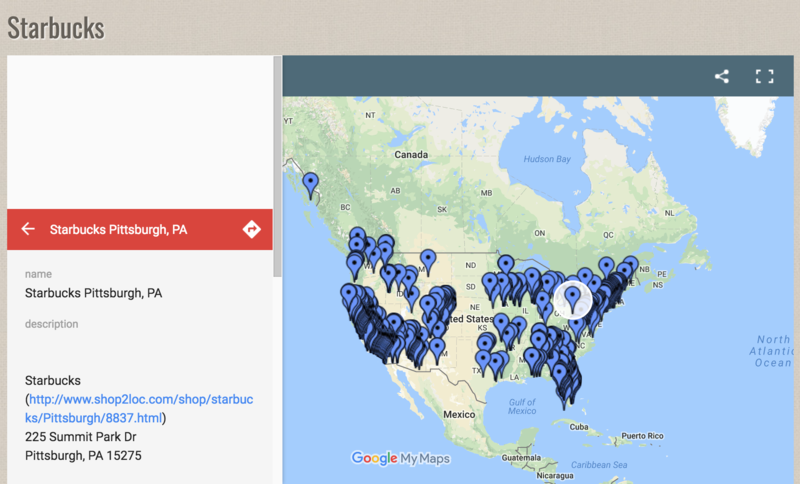 We have now grown to 10,000 restaurants across 150 cities. But for now, our focus and commitment remains in the DMV. Because of this large and expanding footprint, it's critical that you include critical search symbols into your search. 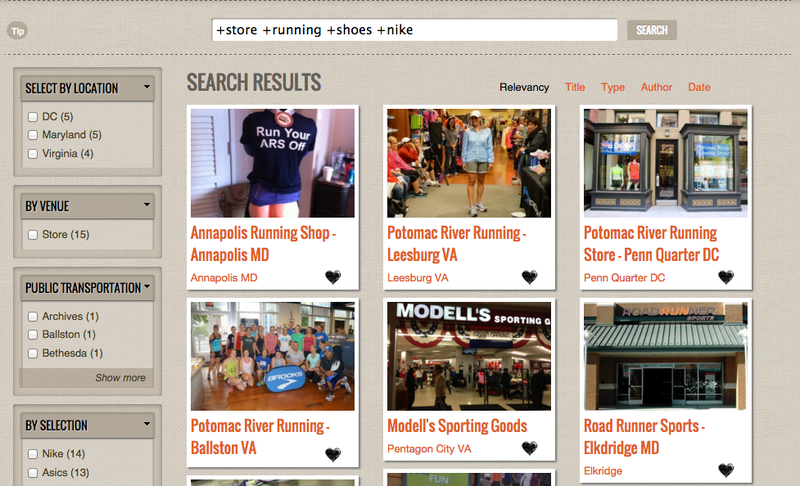 For now, RUNINOut does not utilize geolocation in our search. We rely on the user to add Boolean Search operators such as +, or, AND to obtain a more focused, customized search. 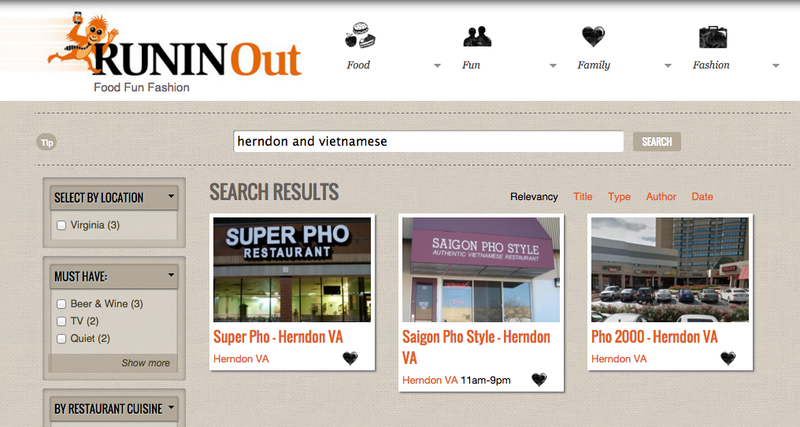 * If you choose not to use Search operators such as +, or, AND then simply use a one-word term: Pho, Burger, Ribeye, Linguine then narrow your search with the filters on the side. RUNINOut is hyper specific. If you're like us, and love beer, you'll want to us to find your favorite brew, bottled or draft (but don't forget to add your Boolean operator). If you like a specific ingredient, plug it in and see what you get. Searching for a specific dish, drink or setting? 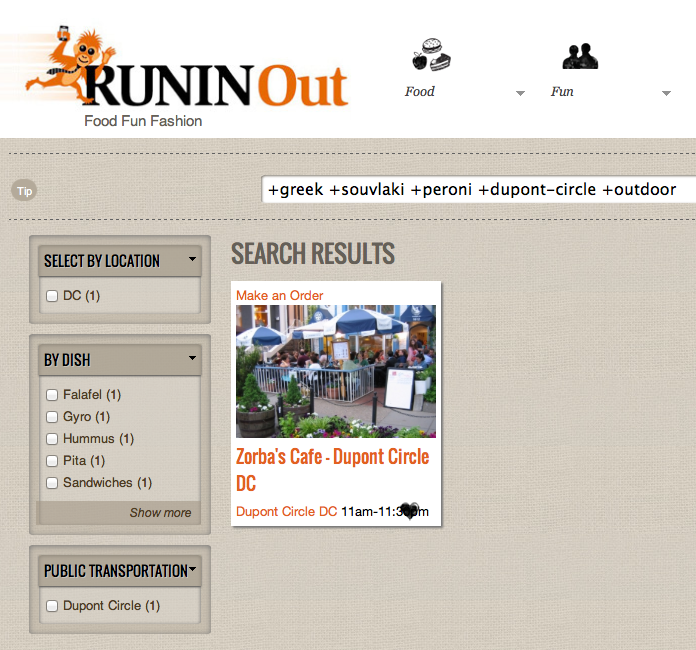 RUNINOut provides info for more than just food and drinks. We also index, theme, ambience, setting, etc. Say you must have curry, Pacifico beer on draft, rooftop seating and you're in Clarendon, VA.
+ Sign is not required for each word - just for the terms that are most important. If everything is critical, then feel free to add a + before each word. To better refine your search, use the sidebar on the left to narrow down your choices. For Chains and Franchises, if you type the name of the brand. E.g: Starbucks, Hilton, Marriott, McDonald's, Chili's, Bed Bath & Beyond as well as organizations. Eg: Navy, Air Force, Salvation Army, Red Cross, you will get a Google Map widget showing the majority of locations in the area. Again, the key to search is simply entering one broad term: Marriott or Renaissance and go from there.